Ghost In The Shell – 1/6 Major collectible figure is ready for pre-order at limited time only. 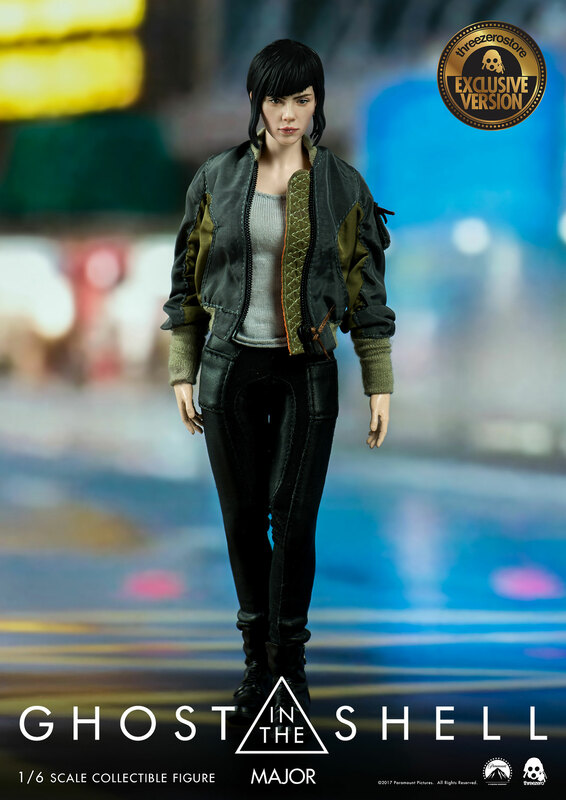 Price: 168USD / 1310HKD with Worldwide shipping included in the price. In addition we will have threezero Official Website exclusive and it is 1/6 Ghost in The Shell Major, which comes additionally with clothes for Street Look version. Price: 180USD / 1400HKD with Worldwide shipping included in the price. 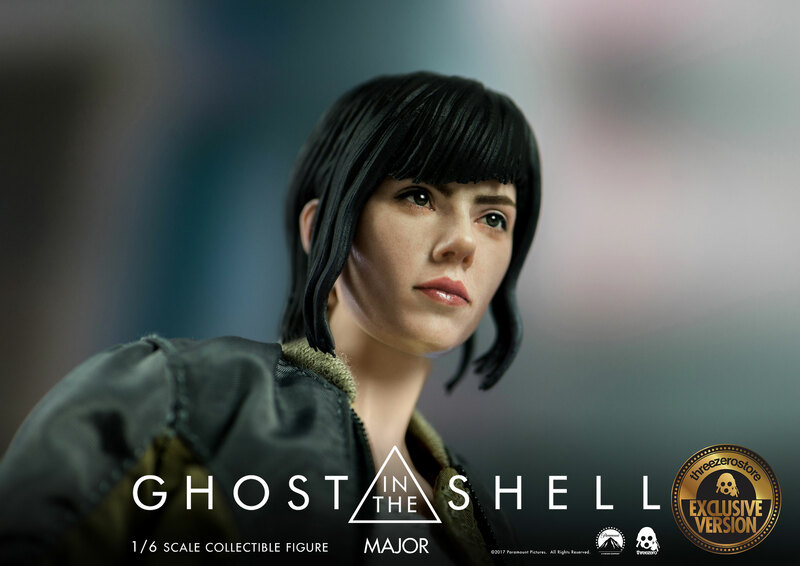 Major collectible figure stands approximately 10.5” (~26.5cm) tall, it’s fully-articulated and highly detailed collectible, featuring realistic likeness of the Major as portrayed by Scarlett Johansson in the “Ghost in The Shell movie”, including tailored and weathered clothing: Tactical Vest, Ballistic Groin Protection, Shin Guards, Uniform, Pants and Pair of Shoes. 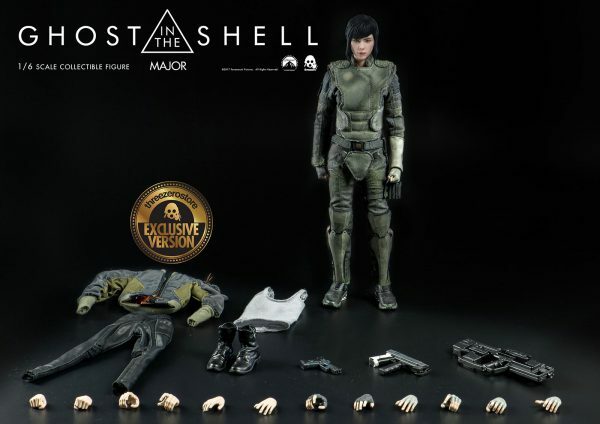 Collectible figure comes with Tactical Pistol with holster, Circular Plaza SMG, Stripper Clip, Sub Machine Gun and multiple exchangeable Gloved Hands. 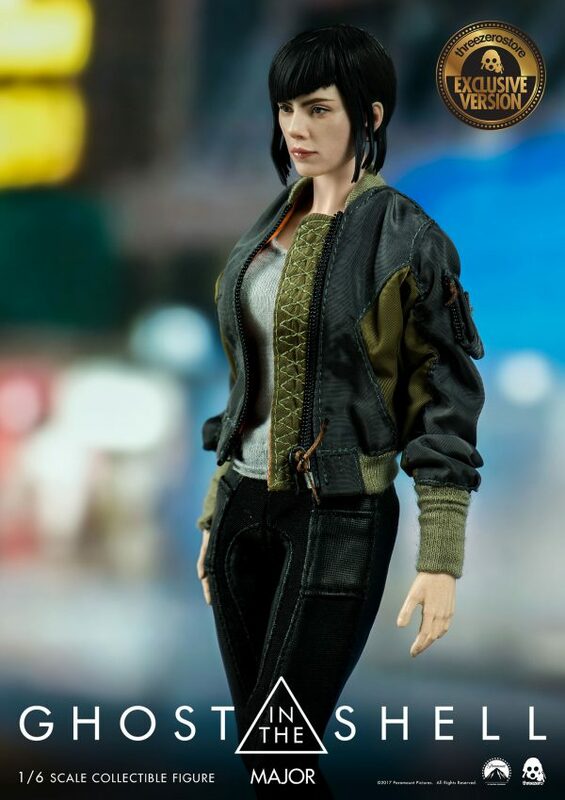 Delivery Date: Estimate 1st quarter 2018. 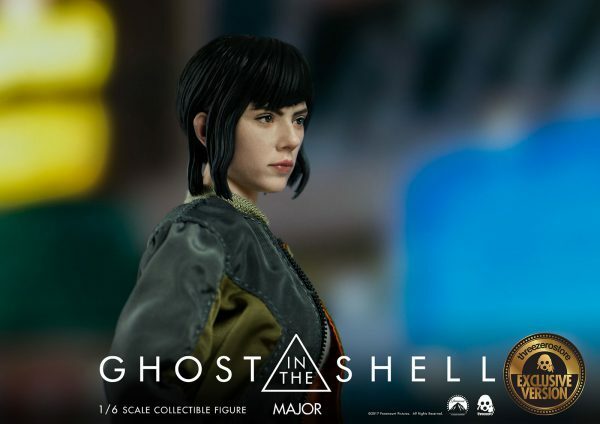 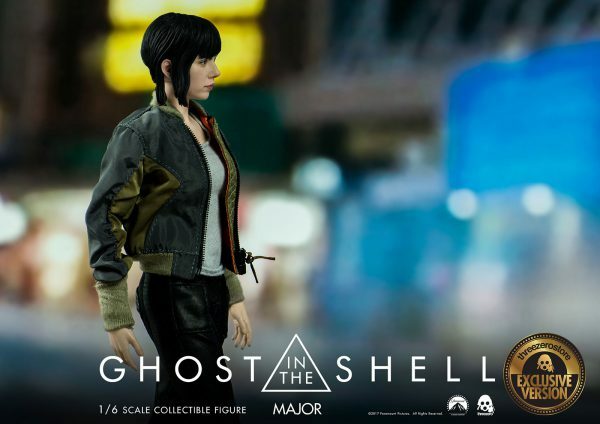 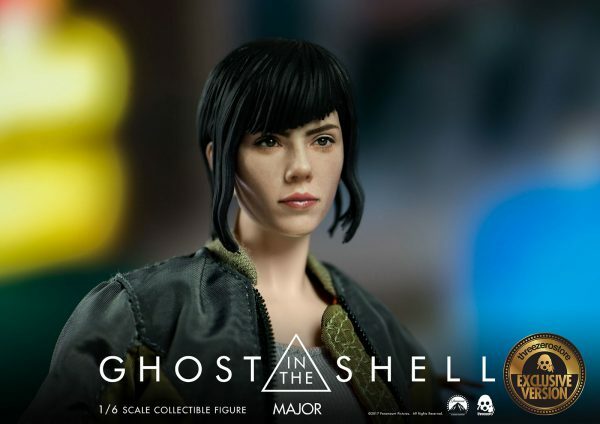 Highly detailed figure featuring life-like realism that is crafted with the authentic likeness of the Major as portrayed by Scarlett Johansson in the “Ghost In The Shell” movie. Two left hands for Holding Circular Plaza SMG and Sub Machine Gun. 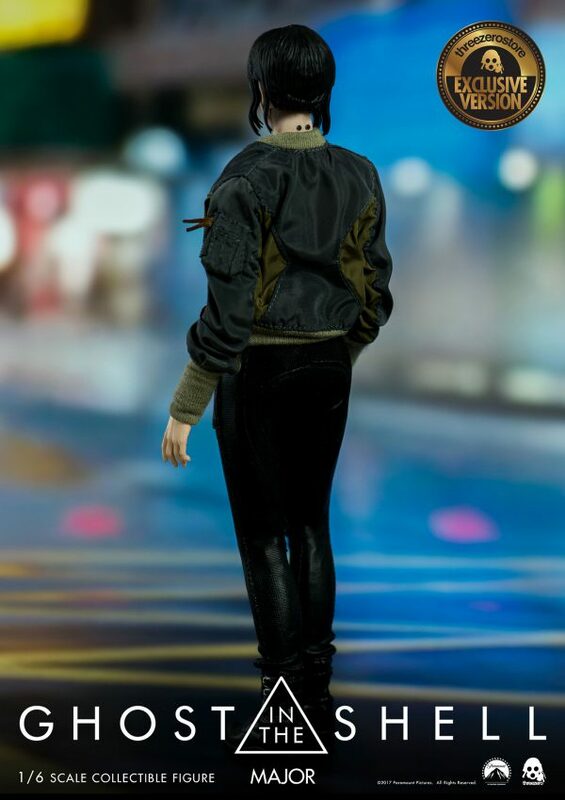 One pair for Gripping weapons.